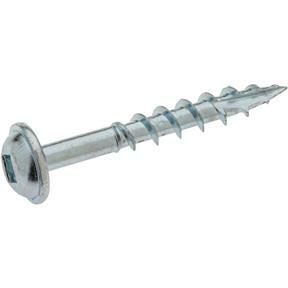 #8 x 1-1/4" Coarse Washer-Head Screws, 100 pc. 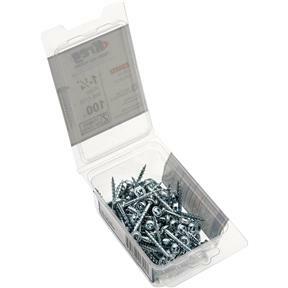 Kreg SML-C125-100 - #8 x 1-1/4" Coarse Washer-Head Screws, 100 pc. The Kreg 1-1/4-Inch #8 Coarse Pocket Hole Screws with Washer-Head, 100 pack, prevents overdriving in pocket bottoms, which is especially critical in composite and plywood work pieces. The self-tapping type 17 auger tip eliminates the need to predrill, and its larger diameter steel shank creates a nearly unbreakable screw. The dry-lubricant coating improves driving torque and rust resistance. All items working as they were advertised. Used the counter bit the same day it arrived .